We Can Fix Potterton, Ideal, Vaillant & Baxi Boilers. Expert Boiler Repairs In Eltham Provided By Fully Qualified Engineers. Our Emergency Response Team In SE9 Can Respond To Gas & Heating Related Emergencies, 24 Hours A Day. 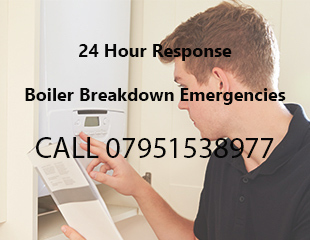 Do you need professional and fast response boiler repairs in Eltham? Our team of highly trained engineers provide expert installations, thorough servicing and emergency repairs for your boiler. With years of experience, our team can handle any technically challenging task. Our full range of skills include expertly fixing all Baxi, Ideal, Vaillant and Potterton (gas) heating appliances. Are you somebody who values the advantages of a regular boiler service? Regular checks enable a qualified engineer to take a good look for any problems. Our home heating solution for residents in South-East London are very effective. 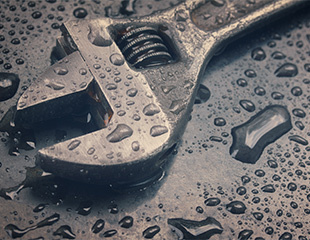 Trustworth Plumbing understands that the right type of maintenance, goes a long way to safeguarding against frequent breakdowns. When repairing boilers, our priority is always safety. We live and breathe a checklist which we conduct before, during and after every single repair. Gas is something that you have to respect 100% of the time. Nothing less, than the absolute highest standards is expected from us by our customers. This is because they are used to our excellence. When it comes to boiler aftercare, we have some great packages to choose from. We are happy to discuss with you, all the benefits they offer. Our Eltham boiler repairs team are comfortable with responsibility and are very reliable at their job. Having built up a strong reputation for being trustworthy, helpful and hard-working. Home heating issues are good at presenting any number of problems. That is why we encourage everybody to understand that looking after their boilers, has to take priority. Regular servicing is highly recommended; everybody wants faultless central heating. Put steps in now to ensure that in the winter, so if the worst happens to your boiler - we will spring into action. Remember we are just one call away and we can respond to 'out of hours' calls as well. It can be time to panic if you ever face a cold winter's morning, with no hot water or central heating. If you have young children in your house and it's a school day, then it will be a very stressful time. We always stay calm in that type of emergency and act speedily to get the problem resolved. There are so many new advancements in boiler technologies; especially ones centered around the repair process. The top industry organisations are good are incorporating them into standard work practice. Our boiler repair Eltham team, are constantly focusing on ways to improve. We can service, fix and install the most famous and efficient gas boilers, currently on the market . 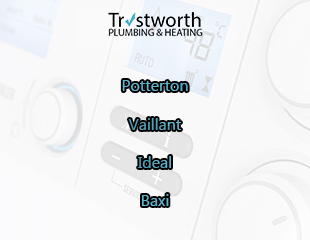 Our team are specialists at dealing with Vaillant, Ideal, Potterton and Baxi. When we get the opportunity to put our skills to the test we make sure that safety is top of the agenda. Remember to only use a fully qualified engineer to do these tasks. There has been recent examples that are now on public record, of unqualified people taking on these jobs and making dangerous mistakes. Some of those errors can actually be fatal. For any type of gas work in Eltham, call us to do it. We will always explain the aftercare options we have. We are very lucky to have such a hard-working repair and boiler installations team. They always fully concentrate on the task at hand to complete it with no errors. For all boiler emergencies in SE9, you can call - us on 07951538977. trustworth Plumbing has an impressive 24 hour fast response team. We aim to attend your property, as quickly as possible. When we arrive the first thing we do is assess the situation, whilst conducting a safety check. We aim to find the fault and successfully repair your boiler in a quick time-frame. We never rush but we are no slouches either. We work towards giving you the best outcome. Our checks could even discover that you actually need a replacement. Our highly driven team cover the South-East London region. Businesses and landlords can depend on us to sort out any boiler problem they have. Our knowledge us extensive and are skills, very impressive. We offer fast repairs for your tenants and business customers, in times of emergency.